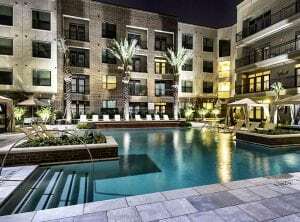 Searching for the very best luxury apartments in Houston, TX? Are you having difficulty finding the perfect one for you and your family? Like you, there are other people also scouring for luxury apartments which Upper Kirby has to offer. JUVITAE Luxury Leasing understands the challenges that surround apartment hunting. Whether it is your first time searching for an apartment or are looking to move from your current one, JUVITAE Luxury Leasing can make the experience enjoyable and worry-free. Call today and a professional apartment locator will attend to all your needs. 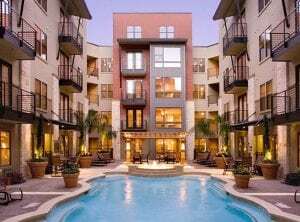 Uptown Houston’s Upper Kirby neighborhood shares the area with the illustrious Greenway Plaza, and the many bistros, boutiques, and restaurants that have sprung up in recent years to take advantage of the booming district. The influx of new development along the major streets has also given rise to luxury apartments and condos. From these, you can easily reach restaurants such as Tony’s, the bustling Oporto Café, and enjoy the friendly, raucous atmosphere of the Downing Street Pub in Upper Kirby. The civil climate and rural temperament of this Upper Kirby neighborhood have attracted business as large as Solvay America, restaurant chains, and the web-based email and hosting giant, cPanel. The Upper Kirby district is in the process of building a teen center for the students in the swath of high schools that surround the neighborhoods. There are recreational parks like Levy Park, the Upper Kirby YMCA Extension, dog parks, and softball fields. Additionally, Upper Kirby is just a few minutes away from both the Museum District and the Medical Center. 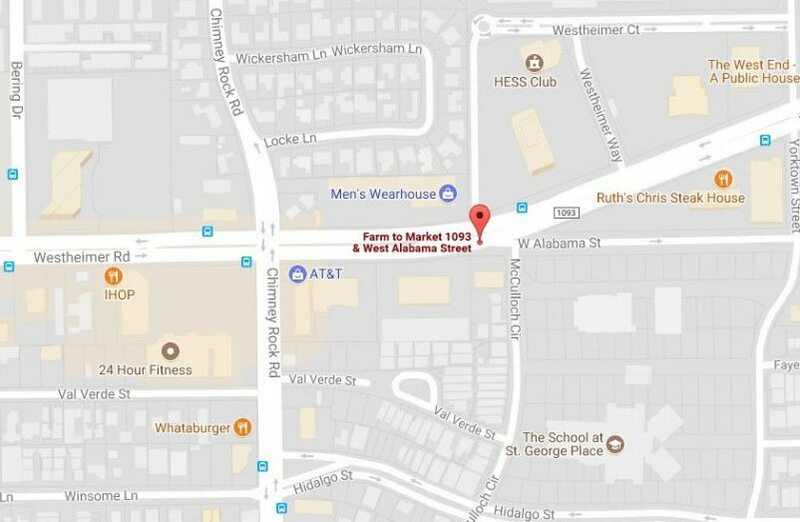 Just a bit further and you are in the downtown area and a stone’s throw away from The Galleria area. Rice University and St. Thomas University are within walking distance of each other, making the Upper Kirby neighborhood a great place for higher education. Several businesses can be found in the district. You can find the most luxurious condos and best luxury apartments in Upper Kirby. There are well-known restaurants, coffee shops, boutiques, and bistros. The district is a place where young professionals meet for after-work cocktails, dinner in cool bistros and grills or for Sunday brunch. In fact, it is known as the hip area in Houston. Upper Kirby is also home to indie art galleries and antique shops that lineup Alabama Street. Every week, the district holds an Urban Harvest Farmers Market where local produce, plants, and flowers are sold. There are weekend events such as the Music Box Theater and McGonigel’s Mucky Duck pub hosting live music and comedy shows. 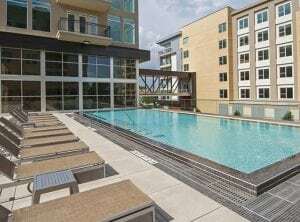 If you are a young college student looking for a place to stay that is near universities for higher learning, there are several luxury apartments in Upper Kirby that you can choose from. Most of them are within walking distance which let you save on transportation expenses. 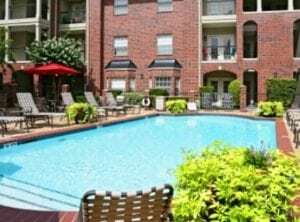 Why Choose Luxury Apartments in the Upper Kirby Neighborhood? In general, Upper Kirby is an appealing place to consider luxury living accommodations because of the new development underway. High-class, well-maintained condos, and luxury apartments in Upper Kirby when paired with new development attract professional men and women in droves. Short walks lead you to eclectic restaurants such as Au Petit Paris and many other renowned Houston establishments. You do not need a car to go to work. Most of them are just around the corner from where you work. You feel at home knowing that you are living in a neighborhood of young professionals who probably share the same interests with you. The Famous Bohemian Montrose Boulevard is just a few minutes away by car. You can have a relaxing evening with friends trying out The Melting Pot Japanese steakhouse, the Boheme wine bar, or the Maiko Bar & Bistro – an Asian Fusion place known for their highly regarded sushi bar. If you are ever in need of a quick snack, then the 5-star (on Yelp) Yoyo’s Hot Dog vendor on Brazos St. guarantee you will join the throngs of Upper Kirby residents who claim they serve the tastiest hot dog combination in the state. Working young people need to de-stress and relax after work. 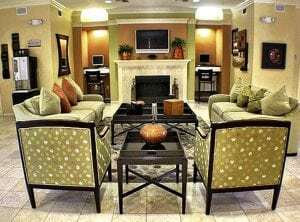 They can come home to the best luxury apartments or rental place in Upper Kirby and enjoy a comfortable and peaceful evening alone or with friends. Upper Kirby luxury apartments for rent are furnished so you can settle at once without having to carry everything from your mom’s cabinet and cupboard. You can decorate it as you like to make it feel like your home away from home. Becks Prime: a local restaurant chain – similar to Southern California’s In-and-Out. Becks delivers succulent, made-to-order burgers as their main dish; the lush chocolate cake dessert and giant grilled hot dogs are also fan favorites. Carrabba’s Restaurant: This Sicilian-themed eatery is on Kirby Drive, where it enjoys a nearly perfect rating on TripAdvisor for its selection of steak Marsala and sautéed shrimp dishes. Dolce Vita Day Spa: You cannot beat this serene and well-appointed establishment for relaxation and pomp. Both men and women can come here to experience professional massages and peels, as well as acupuncture, electrolysis, and skin resurfacing. The West Ave Development: the nightlife here is comparable to any medium-sized city, with high-end shops scattered about, and numerous small eateries like Alto Pizzeria. When making plans to go out in the evening with friends, this is a place you should not miss. Levy Park is a hidden gem in Upper Kirby. There is a wide public green space in the center of the inner city of Houston. It is under redevelopment, but once that is done, the park will have a very natural landscaping and botanical gardens. There will be a playground for children, interactive water features, an event law, performance pavilion, and a park for your pet dog. It will be an entertainment and recreation destination for residents of Greater Houston. 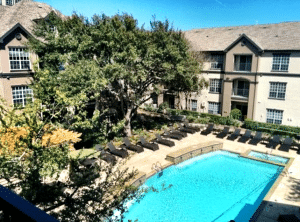 JUVITAE Luxury Real Estate has been finding optimal luxury apartments and homes for sale for Houston residents and newcomers for years. Give us a call today to learn how we can work for you. The team has an innate talent for anticipating their clients’ requirements and preferences. JUVITAE Luxury Leasing’s goal is to establish long-term relationships with clients and to meet their needs in whatever cities they may land next. 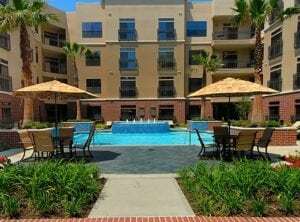 If you are looking for the best Luxury Apartment in Upper Kirby, Houston, Julian and his team will seamlessly guide you through your luxury acquisitions. The JUVITAE Luxury Leasing Team will sincerely attend to your concerns and provide you with details other realtors might not be willing to do. They offer personal transportation to and from the airport or serve as guides who will assist you in quickly acclimating to your new city. Being able to provide customer service that encompasses a concierge attitude is paramount to Julian and his team. Clients’ reviews about their experience with JUVITAE Luxury Leasing emphasize that their relocations and acquisitions were seamless, enjoyable, and satisfactory. In choosing your luxury apartment in Upper Kirby, Julian and his team will apply their expertise in strategic planning, logistics coordination, and negotiation and transaction management. Are you now ready to find the best luxury apartment in Upper Kirby? Contact JUVITAE Luxury Leasing today and speak with a seasoned Luxury Real Estate specialist who will give you a sense of confidence greater than that provided by other real estate service providers. With JUVITAE, experience the luxury living that suits your lifestyle!